December is a time for making lists – grocery lists for big family gatherings, shopping lists for gifts, and to-do lists as you try to get everything ready for the holidays. So, in keeping with the spirit of the season, here are three lists you should create that will really help your family, if instead you decide to just hit the eject button from Santa’s flying sleigh … or, if Grandma gets run-over by a reindeer. Ho ho ho! 1. Contact lists for professionals and advisors: Agents under powers of attorney, executors, and trustees need access to information about your assets, your estate plan, and your end-of-life wishes. Therefore, keep a list with contact information for your financial/investment advisor, accountant, insurance agents, estate planning attorney and other relevant legal advisors, doctors, and any other important people who might have information your fiduciaries need. · insurance policies – including life insurance, disability insurance, medical insurance, long term care insurance, homeowner’s and auto policies, and any others. · real estate – your fiduciaries may not be aware of investment or vacation property, or that lot you inherited in another state and haven’t decided whether to keep. · securities – especially if you own certificated stock or other securities that are not managed by an investment advisor. · cash – list your checking and savings accounts, CDs, and any safe deposit box in your name, making sure to identify the branch where the box is located. 3. Digital assets and accounts: This is extremely important because you may have accounts and assets that you only manage online. Your fiduciary does not have easy or automatic access to your email account, thus will not see your statements and notices. In addition, state law on a fiduciary’s ability to access to digital assets is new and evolving, and it varies state by state. Without knowledge that these assets exist and access to those accounts, your fiduciaries have no way to gain control over them (or even realize they exist). In addition, there is the concern that hiring a hacker to get into a computer to find this information violates the federal Computer Fraud and Abuse Act and similar acts under various state laws. We’ve known some people who keep detailed lists of each account and password; however, how do they keep up when so many institutions require frequent password changes? 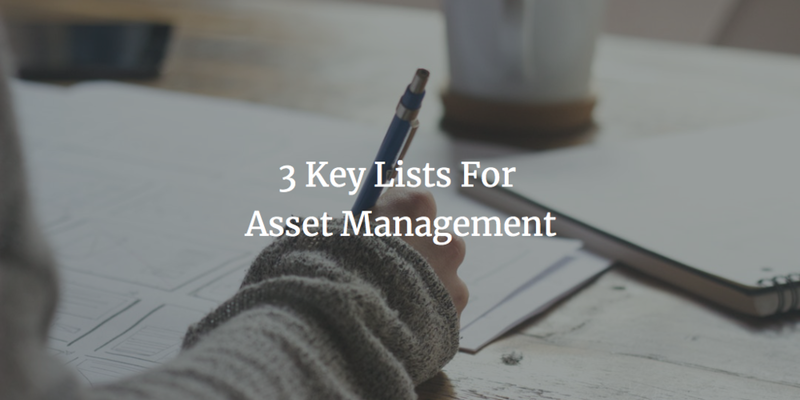 At a minimum, you should make sure these assets are listed (with the assets in #2 above) or print statements from each such account. If you think your fiduciary can just go onto the web and click the “Forgot Password” button to solve the problem, you’re wrong. They don’t have access to the email account where that “Forgot Password?” email is sent. We recommend that you keep these lists with your estate planning documents, but don’t forget to let your fiduciaries know where you keep them! You should also update them as your situation changes – we recommend checking them twice (!) a year. The more organized your records are, the easier time your fiduciaries will have implementing your estate plan. As for digital assets, a thorough discussion would require a series of blog posts. Perhaps we will put that on our 2018 New Year’s Resolution list.